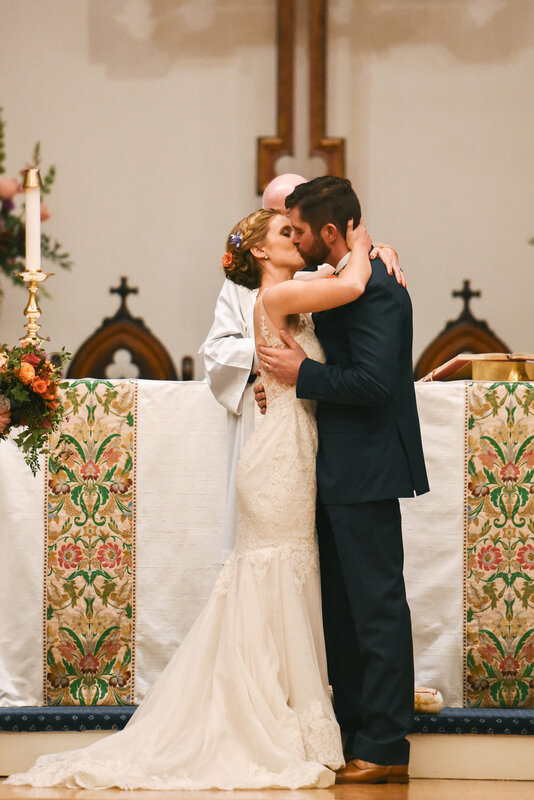 Sarah and Ben's wedding is a perfect example of merging where you come from. 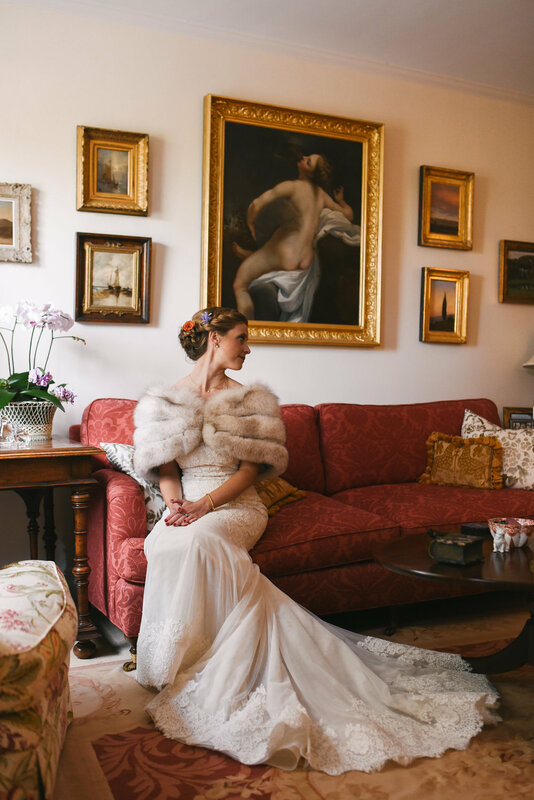 Sarah grew up in a historic rowhouse on a quaint Old Town street so she always dreamed of having a classic Old Town wedding. Ben grew up on a farm in Iowa- the same place they were engaged- and wanted to bring some country charm to their big day. 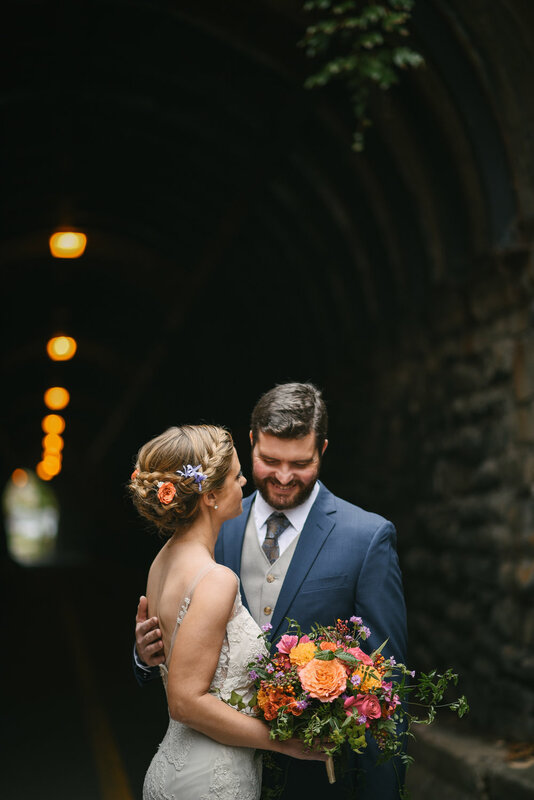 Their first look was at the Wilkes Street Tunnel, and much to our surprise, another wedding party was getting ready to do their own photos at the same spot when we arrived. Thankfully we squeezed in and got some amazing shots (and memories) in about five minutes! 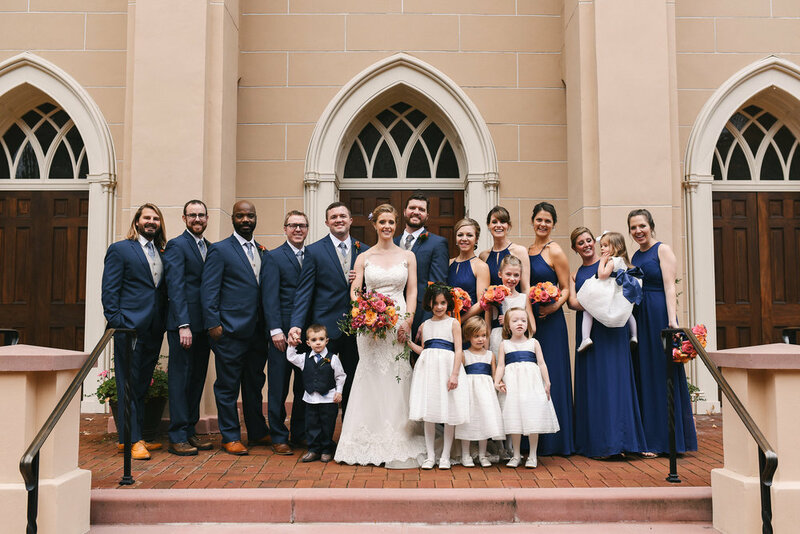 Because Sarah and Ben had a first look, we were able to knock out ALL family and wedding party formal photos before the ceremony even began! 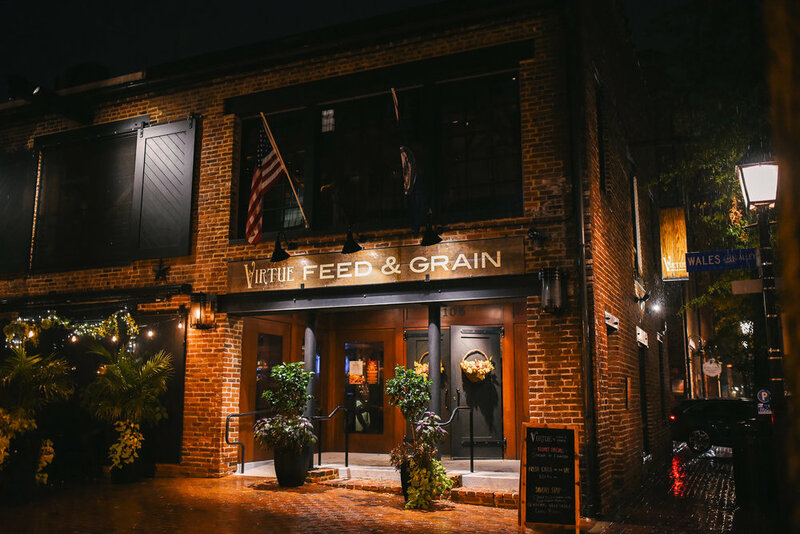 They had a classic church ceremony and mass, and then we walked down the street to Virtue Feed and Grain. There was a slight drizzle which made everything all the more romantic. I love umbrellas at weddings! 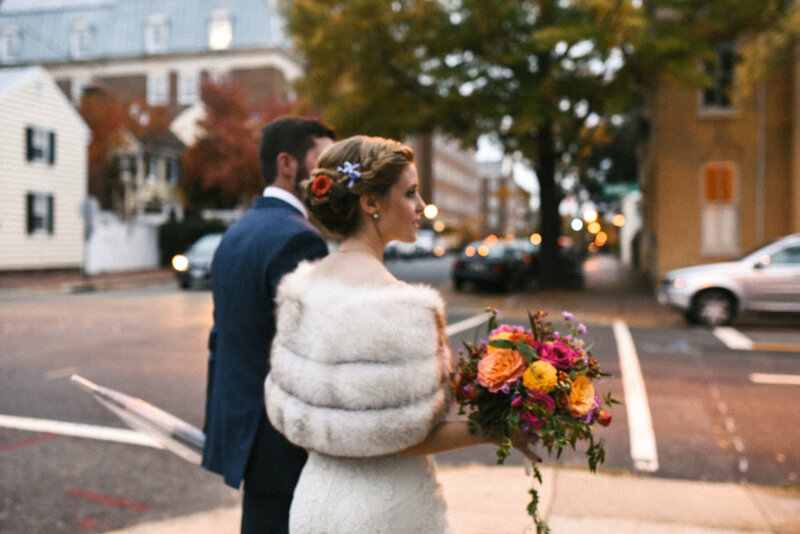 The couple looked like they belonged on a vintage Old Town postcard with the cobblestone streets, historic buildings, and glowing street lamps. By the time we arrived at the reception venue, it was pouring! 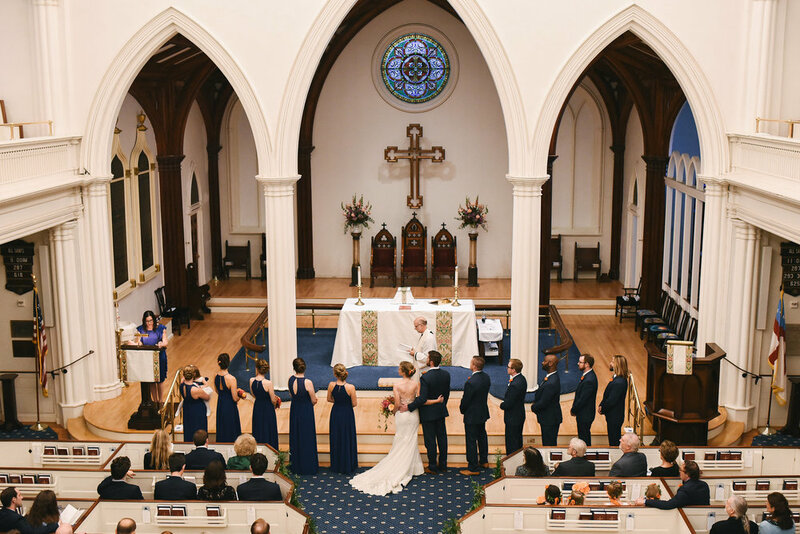 Everyone felt so cozy in the candlelit loft with dark wooden walls and giant windows overlooking the city. Dinner was casual (and delicious) and everyone had a blast mingling with each other and dancing. I was totally impressed by the hip older ladies at this wedding! They had some serious moves!